SUSPENSE WRITERS, A CREEPY BUNCH! Okay, we're kind of a creepy bunch! Where do get these strange, off-the-wall ideas anyway? We get them by looking over our shoulders. Or our eyes which never stop darting around the room. Or the breath catching in our throats over things "normal" people wouldn't even notice. You think I'm pulling your leg? One of my first works was birthed on a "Dark and stormy night". Okay, now I'm just kidding. Seriously, picture this. My twelve-year old daughter is chattering next to me as I try to maneuver the car through another horrendous Michigan snow storm. She's going to spend the night with a friend and a house full of girls for a birthday sleepover. Once we finally get there and are unloading her sleeping bag, presents and other "stuff", she flips out 'cuz we forgot her pillow. "Gotta have my pillow." So, wonderful super mom that I am (that's been contested many times on some psychiatrist's couch, no doubt) I drive through the storm again and retrieve the pillow. As I drop it off, I look at the birthday girl's house and I think to myself, what do I really know about these people? Well, if there are any problems, my daughter can call. No big deal. I've met the parents, they seem like nice folks. Now, my trip back home if filled with what ifs and I've got this horrid stomachache all of a sudden. What if she wasn't twelve? What if they weren't nice people? What if I returned in the morning and the house was empty? No adults, no kids, no balloons, No nada! Ooohhh, that would make a really great story! "Well, where will we find suspense today?" Or maybe, it's the face that looks over my shoulder when I clear the steam. Either way, it's gonna be a great day for writing suspense! SUSPENSE SEALED WITH A KISS! thank all of you for the suggestions. Help! What Kind of Suspense? my dilemma, but I'm not sure what I want to use. maybe even a 50-50 balance of suspense and romance. Help me pick the perfect slogan for my writing. Suspense Sweetened with a Kiss. but I like all 3 and can't decide. What do all of you think???? Suspense with a Nascar twist? The NASCAR part of my stories started with my daughter. I had been entertaining myself with stories I created to occupy myself during violin lessons, soccer and baseball practice, and driving the kids here there and yonder. When she showed an interest in NASCAR at age seven, I realized that a track would be a great setting for some of my stories. So I set my main character, Lady Anne, in a scene at a NASCAR track, then created the character Stuart Jackson, who is a NASCAR champion. The rest of the book fell in place after that. Secondly, tell us about your current story. What gave you the idea for it? My current WIP is called Disappearing Mom. It is about a typical mother whose children don't listen to her instructions and her husband doesn't hear her during the game. Through a series of embarrassing incidents, she discovers that when she sinks into this non-entity state of being she truly can disappear. 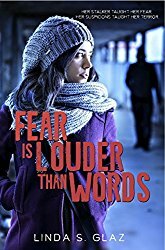 She learns to control it and has fun with it, unaware of how the disappearances are transforming her...until it's almost too late. I got the idea for this story from one of those e-mails that circulates around on the internet called Invisible Mom. It talks about how a mom often feels like a nobody. I started asking “what if” questions like, “What if a mother really could become invisible because everyone treated her like she wasn’t there?” Those questions led me to develop the storyline for Disappearing Mom. I love it. How many times as moms have we felt that way? I'm noticing, ahem, that happens often as one gets older. Once we don't feel quite as needed on a daily basis, but that's a whole 'nother story, isn't it? I'm so intrigued with the idea of a mom who can disappear. She obviously has children. How many? What kinds of interests? Crystal has four children, the youngest of which instigates the first major embarrassment Crystal has to suffer through by completely ruining the cocktail dress Crystal bought for a New Year’s Eve gala only an hour or so before the party. The second and third embarrassing incidents which lead Crystal to discover how she can disappear by sinking into the non-entity status of motherhood happen during a trivia contest and while shopping. Back to the Nascar book. I couldn't help but think of DAYS OF THUNDER. Please tell us there's a wonderful romantic twist to this suspense. Not that all of us want great heroes and romance (well, okay, most of us do want that). Lady Anne is definitely a wonderful hero, but there is also a romantic twist in The Race that Lies Before Us. The twist is that it's backwards. The male protagonist is chasing after the female protagonist, who is clueless about his interest. In the process, he discovers a surprising secret and opens the door for her to witness to him about the source of her contentment. Oh wonderful! I can't wait to read this book. Tell me one thing. When is the first time you remember having the desire to write a story? I can trace mine back to a really cheezy one I wrote in 8th grade, but it affected me so strongly that I can remember every detail to this day. How about you? Because I love reading so much, I’ve always thought it would be neat to write a novel, but I never took it seriously until about 3 ½ years ago. I was taking a walk and thinking about one of the stories I made up to occupy my time while running the kids around and a thought popped into my head: “Why don’t you make it into a novel?” My next thought was, “Wow, I never thought about that.” I truly believe it was the voice of God calling me to write fiction. I was a little worried that I was having an early mid-life crisis, but I followed the call. With hindsight, I now see that it truly was God’s calling to write, and I see His fingerprints all over my writing journey. I can’t wait to see what His next steps for me are! Suzanne, who are some of your favorite authors? My all-time favorite authors are Tom Clancy and John Grisham. Also high on my list are Piers Anthony, Anne McCaffrey, and Marion Zimmer Bradley. These authors all write character-driven novels, which has inspired me to create characters the readers can relate to and identify with. Overall, I consider the plot most important in a novel, but creating characters my readers come to know and care about is important to me as well. Last question Suzanne. What would you say to someone who wasn't sure which direction to go in with their writing? Why suspense? What makes it your passion? I don’t like predicable stories. I want twists and turns and surprises. So when I started to write, I naturally wanted to write that type of story. Even Disappearing Mom, which is women’s fiction, has some elements of suspense to it and plenty of twists and turns. So my advice to those contemplating where to go with their writing is to write what you like. It will flow more naturally and you will enjoy it more. 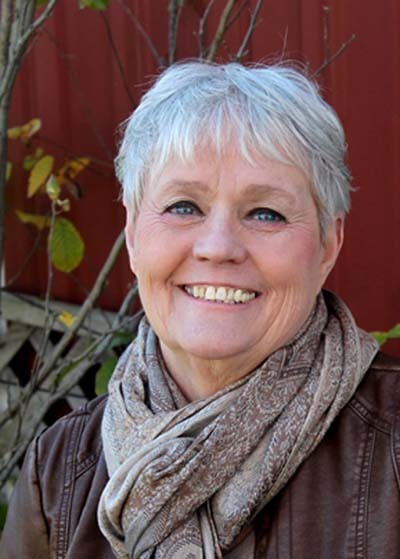 Besides writing novels, Suzanne also operates the Write at Home Critique Service, which offers both partial and full manuscript critiques that teach as well as correct. 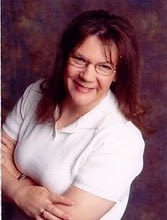 You can find out more about her novels and her critique service at her website, Suspense with a Twist, and her blog, Write at Home. Thanks, Suzanne, may all your writing have a surprising twist! wonderful romance of Days of Thunder? Join us this week for my interview with Suzanne! Do you answer or finish? My toughest crit partner is ill.
she says not a word. No complaints, no arguments. a few times and rewrites the chapter for me. And there you have it, a rewrite worth its weight. entry for a few days. How about letting us know what distracts you? killer hiding in the corner, your heroine's life in his hands??? ?